“No one should ever be injured doing yoga. Like physical therapy and massage, yoga is supposed to be a healing practice. Since yoga is not regulated there are no reliable statistics documenting the actual number of yoga injuries. Based on my own experience with injuries, teaching more than a hundred clients with injuries and also the written testimonials of almost 400 people who took the injury survey, it is possible that injuries are quite prevalent in the yoga world. If you have been injured, please take the yoga injury survey to share your story. Help us all to create a baseline of information on how and why yoga injuries are happening. Results will be published soon. What at one time feels good or appears to be of help can turn out to be a problem; what we consider to be useful may in time prove to be harmful. From Patanjali’s Yoga Sutras, written in Sanskrit approximately 2,400 years ago. Broad’s article on women’s hips and yoga in the New York Times has been read, appreciated and sometimes disputed by thousands of people. Many yogis who have had hip replacements claim that yoga had nothing to do with their hip injuries. The fact is that yoga did not prevent them either. Many people believe or have been told their hip joint was formed in a way that predisposed them to hip replacements. There is a new study showing that in ballet dancers, it is extreme range of motion rather than hip joint structure, that leads to hip pathologies that may eventually require surgery such as thinning of articular cartilage, labral tears and osteoarthritis. Similar to dancers, yogis also put their hips into extreme ranges of motion. This may explain why some yogis as well as dancers in their 50s and 60s are getting hip replacement surgeries after a few decades of practice. The website Dancerhips.com is dedicated to the discussion of hip surgeries including options and holistic alternatives for dancers and yogis. Hip replacements as performed today began in the 1960’s to provide mobility for elderly people with hip deteriorations in their 70s and 80s. A UK hospital study revealed that hip replacements are generally performed on two women for every man. Interestingly, people under the age of 60 made up 8% of the total surgeries in 1993 but that amount increased to 23% by 2005. Was the rise in yoga popularity a possible factor? Charlotte Bell, a certified Iyengar teacher and author of Mindful Yoga Mindful Life and Yoga for Meditators wrote an article for Elephant Journal in 2013 entitled Yogis, Be Careful with Your Joints. Over 100,000 people have read her article warning people to be careful with their joints and to avoid stretching ligament tissue needed for joint stabilization. In her own words, “I know a number of serious practitioners who are now in their 50s—including myself—who regret having overstretched our joints back in the day. All too many longtime practitioners now own artificial joints to replace the ones they overused.” Charlotte underwent hip replacement surgery in 2015. Margaret Martin is a physiotherapist, certified strength and conditioning specialist and certified yoga teacher with over 30 years of experience. She warns that women are at risk for spinal fractures from doing poses with sustained spinal flexion in yin yoga practice. I call this the Perfect Storm Pose since it can cause so much damage to your joints in just one move. How? The repeated practice of this pose pulls the head forward and pushes the ball of the femur (upper leg bone) into the back of the acetabulum (hip socket) wearing away articular cartilage, damaging the labrum, compressing the hip joint with hundreds of pounds of pressure from the forward lean, reversing the natural nutation of the sacral platform, flattening the natural lumbar curve (lower back) while simultaneously over stretching the spine, sacral, leg, knee and foot ligaments needed for upright alignment. One of the blind spots obscuring the ability to stay injury free in yoga is that injuries can and do occur without any associated pain. Over 25 years ago, I had a daily ashtanga inspired yoga practice in which I performed many poses that I now regard as highly dangerous and unnecessary. People may assume that a pose will cause pain and hurt if and when there is any damage or danger; but many of these poses actually did not hurt or feel uncomfortable to me. I felt great and had no clue that I might be causing damage to my joints. Eventually the extreme flexibility I acquired from my 2 years of Ashtanga practice created a destabilization in my sacroiliac joint and I began to have frequent bouts of low back pain. Then I began to have a sharp stabbing pain in my right side acetabulum (hip socket) when reaching down for my big toe while doing poses like triangle. I had no idea why I felt this pain so I began to back off to avoid it. I continued to practice but soon after I noticed the sharp pain in my hip, I was seriously injured in my right knee doing ardha baddha padmottanasana (half bound lotus in a standing forward bend.) This time I did feel an intense tearing pain in the lateral knee ligament area of the right leg, which was bound in half lotus. The injury did not require surgery but I was unable to go running or even attempt to do my regular ashtanga practice for about a year. I thought I was doing the pose ‘correctly’ and I could not understand how I was injured. Using discernment I began to question the value of many yoga poses. The only reason I was given by teachers for my injury was that my ‘weaknesses’ showed up in the knees and had to be ‘worked out’. This made no sense to me and I began to create a new way to practice yoga that did not hurt my knee and this time, I made sure that all the poses felt safe and functional. This led to the creation of YogAlign and I realize now that had I not listened to my body and backed off, I may have created long-term damage to my hip joint. The sharp pain I felt is one of the signs of FAI femoral acetabular syndrome and it is quite possible that my hip joint had a labral tear. As I read the stories of another yogi getting hip replacements, I am concerned that many of them have the belief that yoga did not cause it. They say things like ‘my hip was going to break down anyway because it’s in my family history’. My answer is that yoga may not have caused it but it did not prevent it either. Because of my personal experience helping people learn tools to heal from labral tears in the hip, I know that a balanced yoga practice can heal and even prevent hip joint damage and/or surgeries. There seems to be a cognitive dissonance or disconnect regarding yoga asana and hip surgeries that I feel needs to be addressed, researched and shared openly. Although there are the wise and accountable yogis like Charlotte Bell, some go back to their previous practice without eliminating hip compressive poses or even contortion moves such as feet behind the head. It is our responsibility as teachers and students of yoga to evaluate any injury, ask experts and consider that ‘that which we believe to be good for us may no longer be beneficial’. There needs to be an emphasis in the yoga community at large on the importance of doing a yoga practice that focuses on balance over flexibility and hip joint integrity over hip joint ‘opening’. Is there actual value to be gained by doing a yoga pose or do you hold a false belief about its benefits? It is important to focus on the value of yoga poses according to our natural biomechanics as opposed to any beliefs you may have beentaught, such as “plow pose stimulates the thyroid.” Plow pose has caused strokes and been shown to cause spinal compression, impingement of vertebral arteries and overstretching of nerve tissue. There is no medical proof that practice of plow stimulates the thyroid. We need to approach the practice of yoga asana from a global perspective. Our body is not made up of parts. Doing compartmentalized stretching of our body parts makes no anatomical sense. To gain value, we need to discard beliefs and only do poses that simulate how we are designed to move in real life function. With millions in the world practicing yoga today, we need to make sure all yoga poses are biomechanically safe and functional. Many claims have been made to the supposed benefits of the plow pose. MYTH BUSTER #1 : Yoga poses that are being practiced today have been done the same way for thousands of years. That which is stable, that which is comfortable. That is asana. Pain in any form must be anticipated and avoided. Sanskrit translated from Patanjali’s Yoga Sutras, an oral tradition estimated to be 5000-6000 years old and transcribed to the written word approximately 2400 years ago. The YMCA, Spiritual Calisthenics, and Muscular Christianity were all established in Europe before the turn of the century. With the invention of machines during the industrial revolution an easier lifestyle was created and many people felt that man would fall into moral and physical decay. At the time of the British occupation, organizations such as the YMCA became established in India. The Indian yogis Krishnamacharya and Kuvalayanda, influenced by the western ideas of exercise and athleticism, established the health and fitness regime that dominates the yoga industry today. Yoga, as practiced today, is simply a product of that “physical culture” movement. Mark Singleton’s book, “Yoga Body, The Origins of Modern Posture Practice,” illustrates that many modern yoga poses were created from a mix of western contortionism, military drills, and women’s gymnastics, combined with ancient yoga philosophy texts such as the Yoga Sutras and the Upanishads. Simply because yogis are shown doing these poses does not mean they are safe nor that they are anatomically correct for the human body. Yoga poses need to be bio-mechanically tested to establish their true value. MYTH BUSTER #2 : Hard and tight abdominal muscles are necessary for good posture and a healthy back. One of the biggest blind spots in the yoga and fitness industry is the belief that the “abs should be flat and tight” or that having strong abdominal muscles is a remedy for back problems. Millions of people tighten their abs in order to acquire a beautiful waist or an impressive six-pack void of fat, while others routinely exercise themselves into a muscular vice-grip trying to strengthen their core. While many people erroneously believe that a strong core means having a tight belly, it is actually a toned yet relaxed belly that will keep us flexible, aligned and powerful in the long run. Back pain is caused not just by weakness, but also by excessive tightness in the anterior trunk muscles; thus over-contracting the abs is not a panacea for back pain, but rather a trigger for it. A tight six-pack in the abdominal muscles not only creates a tense ‘locked long back body’ but also can be dangerous to the health of the spine, nerves, organs and even emotions. Individuals with a six-pack may appear to be athletic and very fit, but could run into back problems as they age. Common flexion exercises, like abdominal crunches, elbow-to-knee type sit-ups, and straight-leg forward bends continually contract the entire front of the body. This leads to a shortening of the anterior flexor chain and fascia connections that span from the skull to the top of the feet. Tense short abdominal muscles can load pressure on the discs in the spinal column, rotate the pelvis posteriorly, and compress the nerves exiting the spine. Tense abs pull the sternum (breastbone) towards the pubic bone, strain the back, and can inhibit breathing and movement. MYTHBUSTER #3 : Staff pose is the ‘mother’ of all sitting poses. Staff pose is one of several yoga poses that require the body to form into a right angle. The human spine is designed with curves to provide shock absorption during movement and this requires a ‘necessary tension’ in the ligaments to keep the vertebrae ‘strung’ together. Positioning the body into a right angle simulating the shape of a chair – the bane of our modern lifestyle – flattens the spinal curves. It does not make anatomical sense to exercise or stretch with the body in a right angle position such as staff pose and it is certainly not a functional way to sit. Even if these positions feel ‘easy’ for those who are flexible, years of practicing right angle poses can stretch out the necessary tension in the sacral, knee and foot ligaments needed to keep these joints ‘sprung’ as shock absorbing structures. This leads to what I call the Sagging Sacrum Syndrome (SSS). With the lumbar region flattened and the sacrum sagging and flat, the breastbone goes down, the head goes forward, and the weight from the upper body compresses into the hip and knee joints. Poses need to simulate how our body moves in real life function. What is the sense in performing poses that go against nature’s design, having more to do with linear straight lines than our natural curving shape and bio-tensegrity design? MYTH BUSTER #4 : Tucking the tailbone is a good technique that can correct lordosis, ‘swayback’. 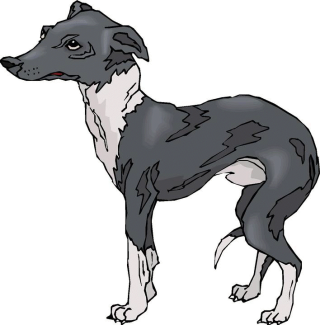 Tail–down posture distorts natural alignment and resembles a dog in fear ‘tucking his tail.’ Many people speak of creating a flat back by tucking the tailbone when standing or by using pressure from the abdominals to push the lower back toward the floor when lying down. To create this action, we enlist our abdominals to shorten and as they contract, they put the spine into forward flexion. Tucking the tailbone pulls the sacrum down, draws the head forward and distorts natural alignment. What is important when engaging the body is to direct our abs and trunk muscles to stabilize the spine, rather than to flex it. YogAlign® uses a breathing technique to draw the tip of the tailbone towards the pubic bone, requiring no external effort or force from the abdominal muscles. MYTH BUSTER # 5 : Touching your toes with straight knees will make you flexible. Keeping the knees straight while bending forward is like ‘driving a car with the brakes on.’ What gets damaged are the ‘brakes’, which happen to be the shock absorbing curves in the back of your body. These curves include the arch of your foot, back of your knee, sacral/ lumbar or lower back, neck curve in the spine. These curves are strung together with ligaments that keep joints stabile during movement. These ligaments are not designed to stretch and will become lax under pressure when one bends forward without bending or flexing the knees. Many hold a belief that toe touching is a yardstick by which to measure ‘flexibility’ and that stretching with straight knees will loosen their tight hamstrings. Stretching isolated body parts like the hamstrings will not contribute to the balanced and ‘global’ nature of our human body, which is designed for movement. Many people who take YogAlign are surprised to find out that their supposed ‘shortened’ hamstrings are part of continuous line of pull from arch to eyebrows acting as an extensor chain to keep us upright. Forward posture or forward bends with straight knees will create a short front and a long back with an extensor chain this is locked out ‘long’, strained and tense. Muscle tension is controlled by the nervous system; statically stretching and pulling on your hamstring muscles cannot and will not make them ‘longer.’ Toe touching can loosen ligaments in the foot, knee, and sacral lumbar region undoing the necessary tensile forces needed to keep our body upright and our joints providing shock absorbing stability during movement. In order to relieve hypertension of the hamstrings we need to eliminate chronic tension and lengthen the front of the body and groin area so the hamstrings will not have to engage to balance against the flexor forces in the front body. Once postural balance is achieved, the hamstrings will not feel tight and the urge to stretch and pull on the hamstrings will disappear. Just watch a toddler bending his knees to pick up a beach toy and you can observe how we are innately designed to move. Babies are excellent teachers, as they have not yet been stuffed in chairs and developed the dysfunctional posture forward carriage posture habits that plague modern society. 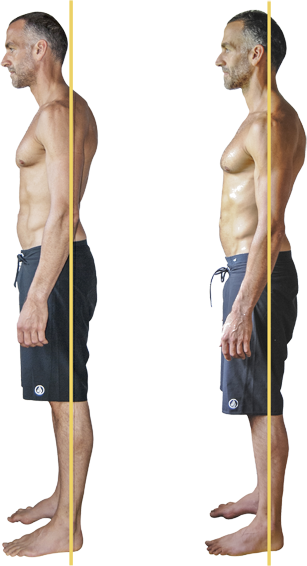 MYTH BUSTER # 6 : Good posture means having a straight spine and a flat back. 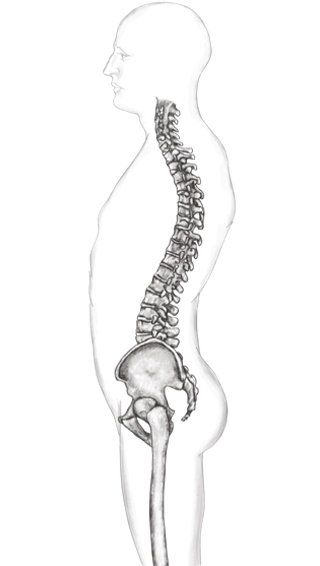 The spine is not designed to be flat; it is designed to have curves. These curves give our spine its strength, fluidity and act as shock absorbers. An aligned spine and strong breathing muscles serve as a warranty against injury and lead to posture that is functional and fluid. Whether you are standing, sitting or reclining, poses that straighten the spine or flatten the back reverse the spine’s natural curves and jeopardize the longevity and vitality of the body’s structure. Functional posture is dependent upon a spine that is in natural alignment and a body that is rooted in ease. In YogAlign®, natural posture and dynamic movement principles are utilized in every pose. Breathing practices that use the internal muscular forces of extension align our spine into optimal posture. There are no straight lines in nature. Trying to flatten the back removes the inward curve of lumbar/sacral region. Over time, these body positions loosen ligaments allowing the sacral platform to flatten or tip backwards which distorts the natural 30-degree nutation angle needed for shock absorption during movement. After a period of years, many yoga practitioners begin to feel SI joint and low back pain. For some, this undermining of the main support system in the body- the curves of the spine – can compress and damage the hip joint and/or lead to the need for hip replacement. MYTH BUSTER # 7 : Yoga injuries are caused by unskilled teachers and/or poor execution of the poses. It is true that there is a lack of knowledgeable yoga teachers and some do use forceful adjustments that have hurt students. Also there are the claims that people are not ‘doing the poses right.’ The yoga survey being conducted from this website as well as other research is beginning to reveal that a majority of injuries have more to do with the poses themselves being the ‘culprit’ for these increasing injuries. In reality there is no way to teach or execute them ‘properly.’ Many of these so-called ‘traditional’ yoga poses stretch the body into positions that are biomechanically opposite to the natural joint functions and design of the human body. Yoga poses should mimic how we actually move and use our body in real life. 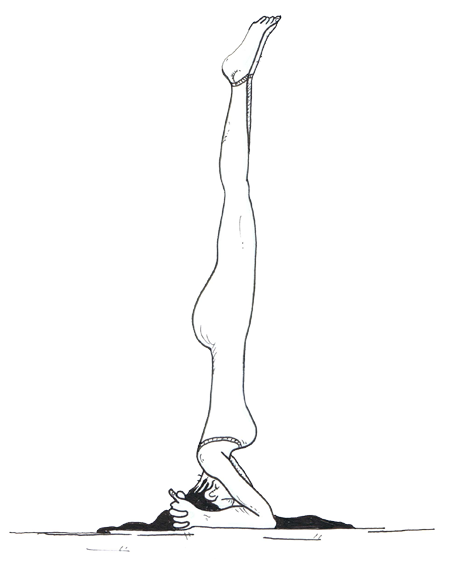 MYTH BUSTER #8 : Headstands bring more blood to the brain and decompress the spine. The dangers of headstands, including compression of the vertebral artery and nerve roots, make this a pose that should be eliminated from any safe yoga practice. The brain is a sensitive organ that requires a specific amount of blood and standing on your head will not change this amount. There is a blood brain barrier that prevents excessive blood flow to the brain in order to prevent vessels from exploding (stroke). Standing on your head does not decompress the spine but instead compresses it in an inverted position. The delicate vertebral structure of the cervical spine (neck) is designed to carry only the weight of the head (5 -11 pounds), not the weight of the entire body. New study shows yoga is causing more injuries than previously assumed and increasing previous injuries. Study on musculoskeletal injuries in yogis who practice ashtanga vinyasa showed that 62% reported having had at least one injury lasting longer than one month and some practitioners reported more than one injury. Lower Extremity Review Magazine examines the peril of poses and yoga related injuries. Ballinger fitness challenges the claims that Bikram yoga helps loosen muscles and protect them from injury for deeper stretches. Headstand and shoulder stand are not king and queen anymore. Rolling up from forward bends can damage your spine. Here is the science on it. A scientific study on musculoskeletal conditions in yogis. 8th grader from San Diego with a hip impingement disorder from ashtanga yoga class offered in the Encinitas San Diego school disrict.